Colin is the Chief Instructor and owner of the TKO Elite Gym. Having created and established the name of TKO within Kickboxing in Kent he has trained every top ranked fighter and Champion that has fought under that name. His impact on the sport within the county has been considerable and many of the Kickboxing gyms in the areas surrounding the Medway towns have a link direct or otherwise to Colin and his gym. Alongside his success as a coach he created and promoted the first regularly staged Kickboxing events to be held in the county with the prestigious KOMBAT ZONE events being staged every year since 1996 and its accompanying event the BATTLE of KENT is now the largest and longest running event of its kind in the county and for most of the country as well. Colin’s Martial Arts journey began in 1973 starting in Wu Shu Kwan Chinese Boxing in Catford, South East London where he lived at the time. Moving on to training in kyokushin karate and derivatives of it as well as pursuing a competitive Amateur Boxing career, he opened himself up to as many influences as possible and trained in anything that took his fancy. He spent a lot of time just visiting clubs of all different styles just to have a look at whatever he could and then have a go at each one, something he believes was invaluable in picking up experience and knowledge that helps him to this day. Competing in as many formats as he could Colin spent many years observing the many tournament circuits that were around leading on to him pursuing what has become his passion, that of coaching competitive fighters. Through Colin's efforts and that of the various competitive teams he has coached over the many years the TKO Elite name has become firmly established as one of the leading gyms in the country. Awarded his 6th Dan Black Belt in 2012 , Colin continues to teach every day. He is a British Boxing Board of Control Professional Boxing trainer and up to recently was Co-Director for Europe for the International Kickboxing Federation, a role he stepped down from in 2016 to focus all his attention on the development of the TKO Elite Gym. However he maintains a role as a senior official in the organisation and continues to officiate at events throughout the country. Now in his 44th year in Martial Arts his enthusiasm for the arts and the sport of Kickboxing remains as strong as ever and he is supported all the way by his team of Instructors and most importantly by his wife Wendy and Daughter Chelsea. Kelly started her training in 2001. Initially pursuing her goals through the grading system she moved on to have a competitive career which brought her great success. 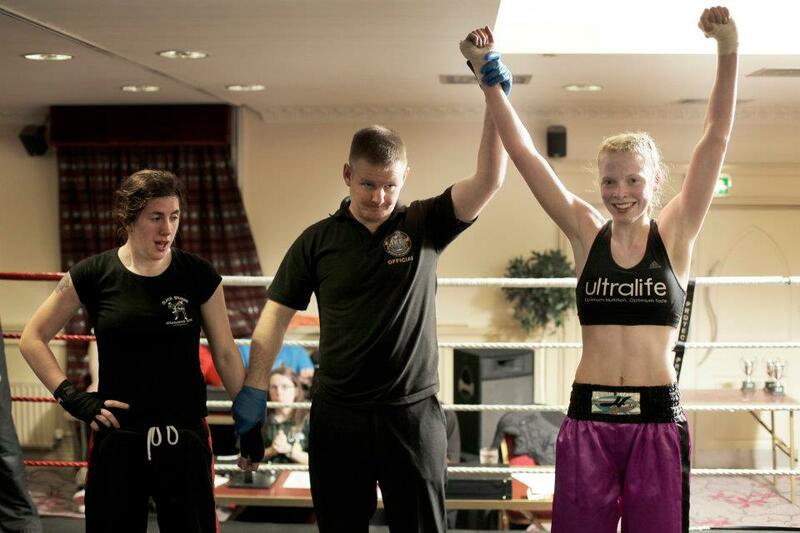 Initially starting to compete 'just to see what's it like" she went on to be ranked the number 1 full contact fighter in her division, winning along the way the IKF British title, the IKF 5 Nations title, the WKA Commonwealth title and also travelling to Florida where she took first place in the IKF World Classic event. After a brief period of rest from competition she came back when asked to challenge Natasha Baldwin for the WKA European title and travelling to Scotland to fight in her opponents backyard she was given a draw, a decision felt harsh by many at ringside. However it was a great performance and a fitting one to end what had been a great competitive career. Warren started his training in 2000. 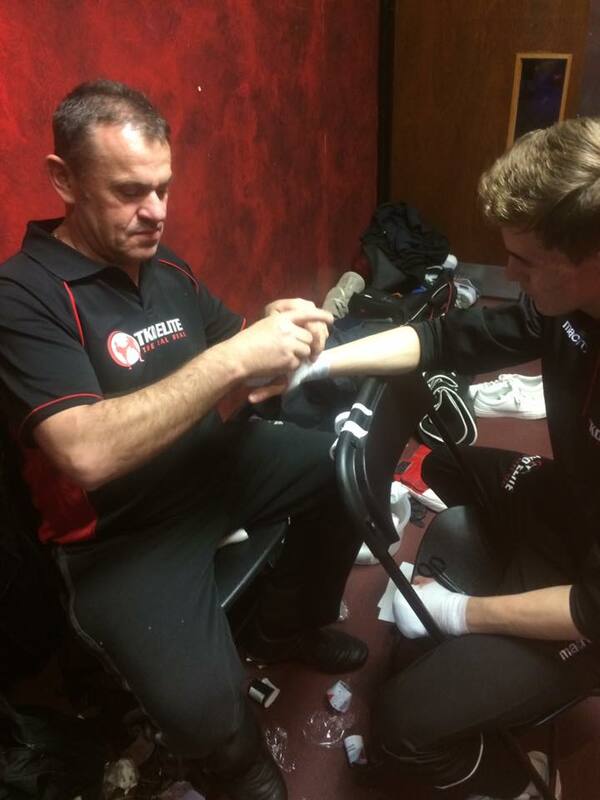 Although being as he would admit, not the youngest at time he undertook a competitive career in both Kickboxing and White Collar Boxing, picking up valuable experience that has helped him to become a valued member of our teaching team for many years. 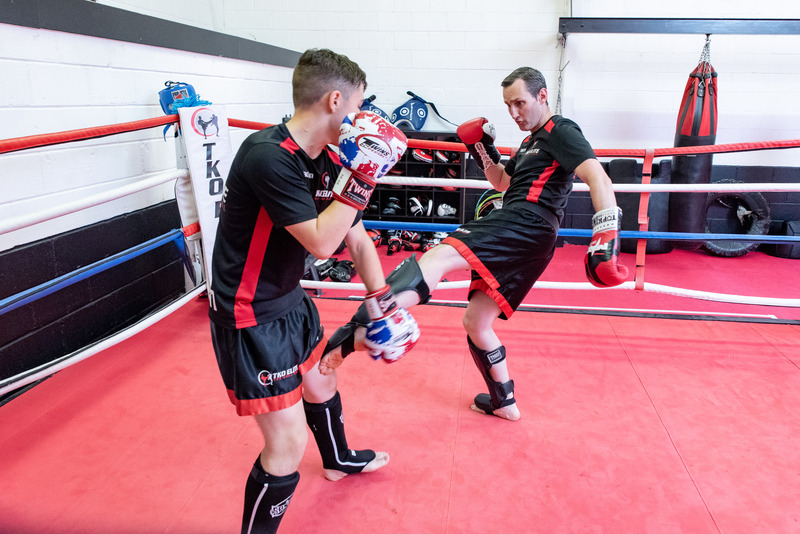 Warren now concentrates his coaching efforts in our busy Boxing class, although also continues to travel the country as a senior judge for the International Kickboxing Federation. Frank started his training in 2000, gaining his 1st Dan Black Belt in 2006 and his 2nd Dan in 2012. Frank teaches classes in both our Basic and Advanced Classes and is regularly seen at events helping in the corners with the other coaches passing on his knowledge to the younger fighters. Frank continues to train and a lot of Fridays can still be seen mixing it up with the young guns at our sparring class. Tyler started training in 2007, achieving his 1st Dan Black Belt in 2013 and his 2nd Dan in 2016. 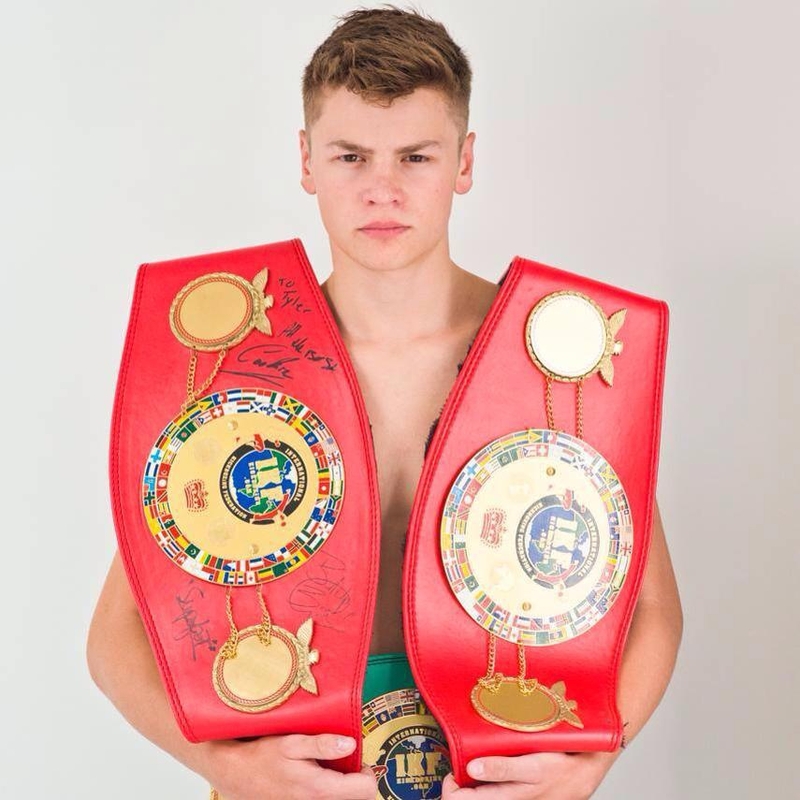 Tyler is a former undefeated IKF 5 Nations Junior Champion, winner of the European Junior Open in Bordeaux, France in 2012 and is now part of our teaching team covering our Basic Kickboxing class. Courtney started training in our Junior classes back in 2006, achieving her 1st dan black belt in 2013 and then in 2015 she came full circle when she joined her team of Instructors teaching the very junior classes she once started in. 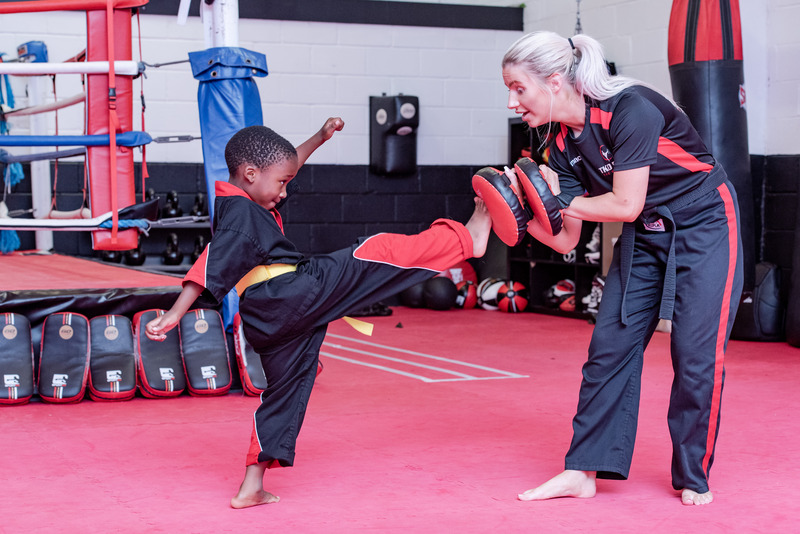 Since then Courtney has gone on to become our senior Junior Instructor and also now teaches our TKO TOTS classes as well. Many of our strong competitive fighters now active in our cadet and Senior classes started their training with Courtney as a junior.